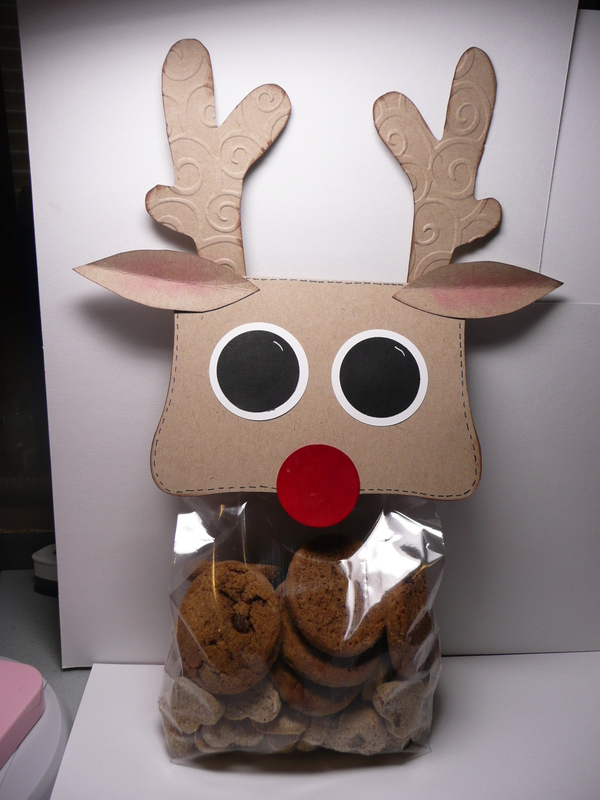 Hi, today I would like to share my handmade gift tags and a Reindeer treat bag topper. I also posted a video below the pictures. 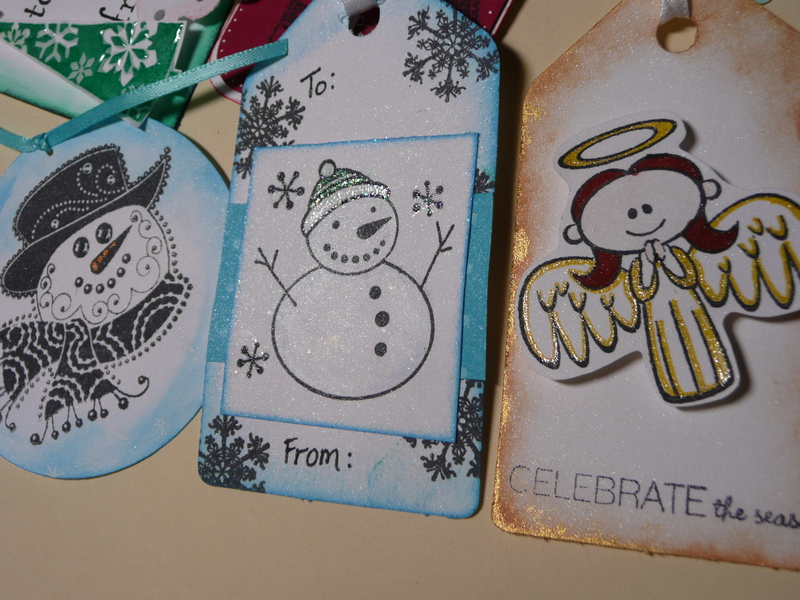 I cut the Christmas gift tags using my Cricut and the Plantin Schoolbook cartridge. 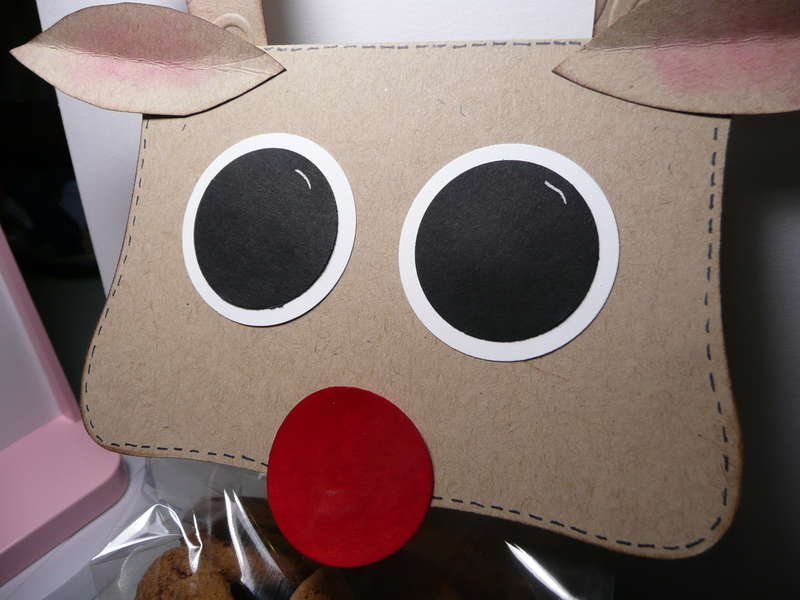 The Reindeer treat bag topper was an idea that I saw online by multiple people. I cut the top note shape on my Circut using Accent Essentials. The eyes and nose were punched using my Creative Memories circle punches. I free handed the antlers and ears. 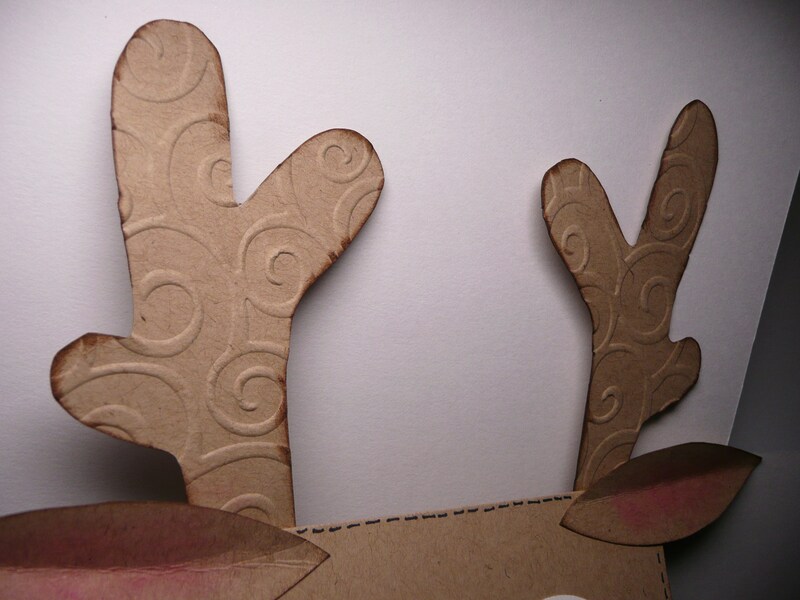 I used UTEE on the red nose and embossed the antlers with the D’vine Swirls cuttlebug folder. I inked inside the ears with pink pigment ink, then around the antlers and top note with brown pigment ink and tea dye distress ink. Lastly I added faux stitching around the top note. I used my topper’s to top treat bags filled with doggy treats for the pets of my family and friends. I hope you all had a very Merry Christmas!! 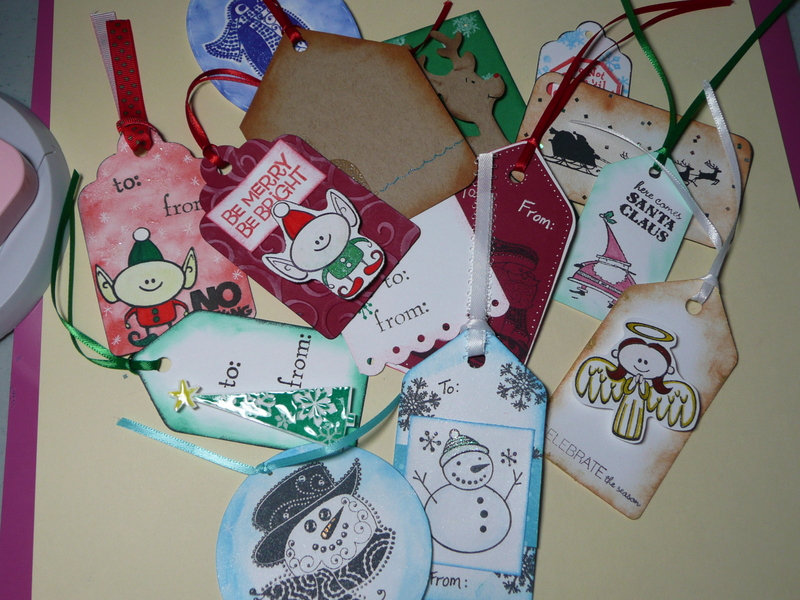 Tags sprayed with homemade Perfect Pearls Mist.